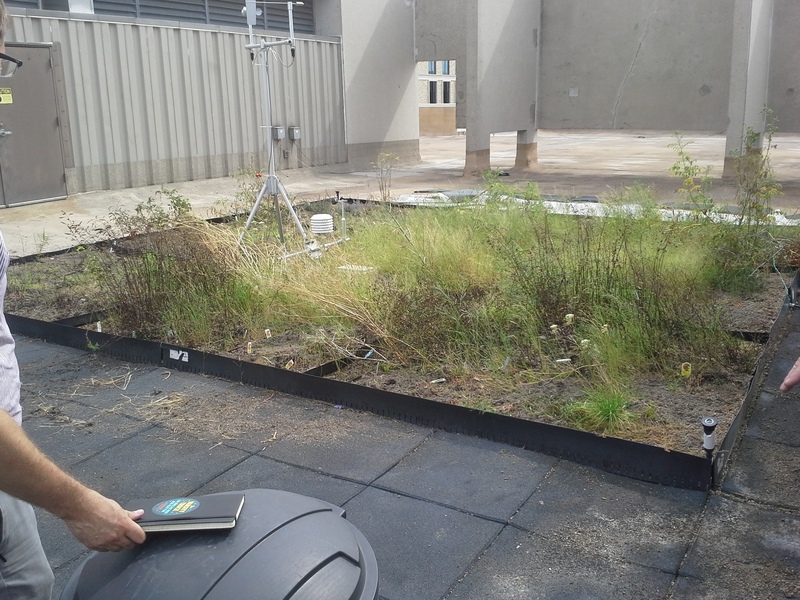 Participating on the Texas A&M Green Roof as a second year MLA candidate has been an enriching experience, as the project has helped to reinforce lessons learned in last year’s site construction course. The semester’s work began by removing all vegetation from one of two existing succulent gardens. The undesired plant material from one 324 square foot garden was enough to fill five 32 gallon waste receptacles and one five gallon bucket. The arduous task of clearing a succulent garden was followed by the construction of a new vegetable garden which is one third the size of its counterparts. The new garden features 27 modules grouped into three sets with their own irrigation zone fed by 80 feet of irrigation line added by students with the aid of Dr. Jeremy Merrill. 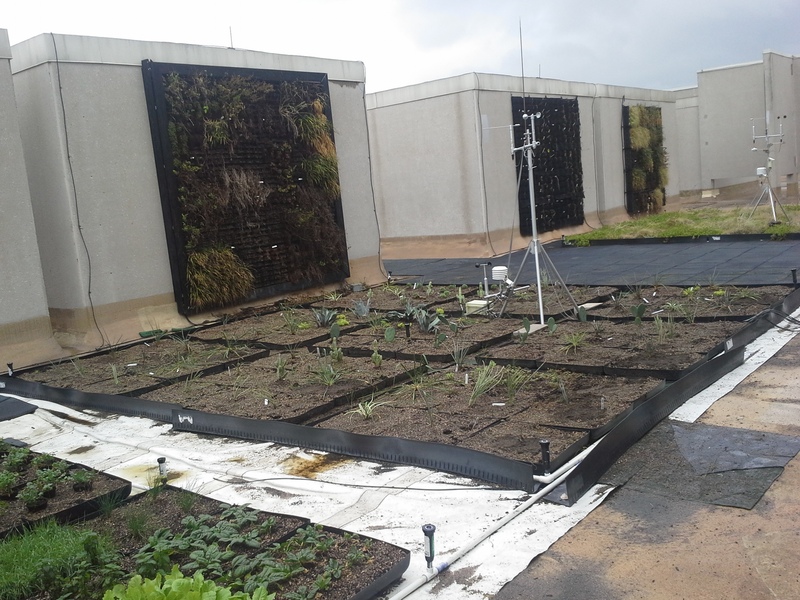 Once space had been cleared or constructed for new tenants, students introduced 197 new vegetable plants and 112 succulents to the roof gardens which had previously been selected by committee with Associate Professor Bruce Dvorak and Dr. Merrill. 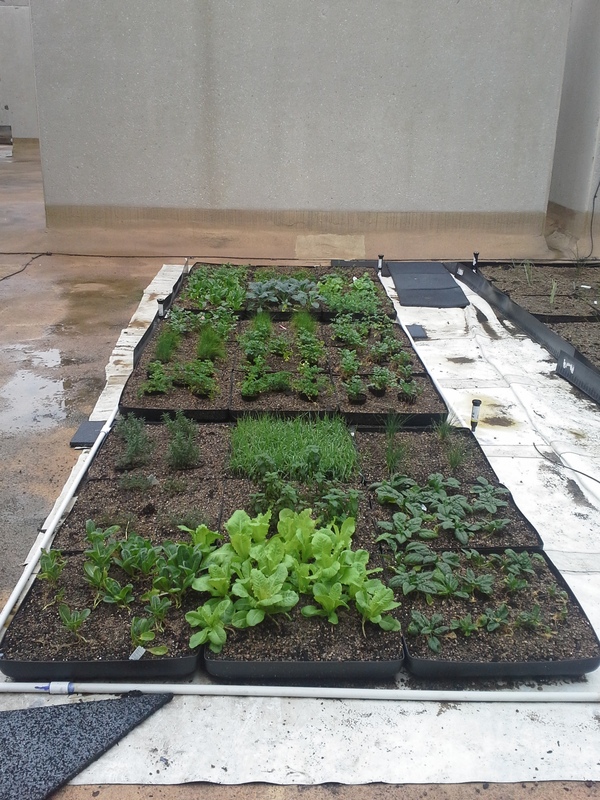 Three weeks have passed since the vegetable planting and two weeks post-succulent introduction. The vegetables appear to be doing very well, with the exception of Spearmint (Mentha spicata) and Peppermint (Mentha x piperita). Succulents are also performing well. The exception there being Color Guard (Yucca filamentosa ‘Bronze Age’) and Mexican Sedum (Sedum mexicanum ‘Lemon Ball’), to a lesser extent. The struggles of these species could be due to any number of reasons, however I suspect it is primarily the result of the quality in which the plants reached us. As October closes, our next step will be species selection for the Green Wall replanting.